Feel free to explore our cloud server solution! Our dedicated server plans are designed to suit the needs of resource hungry hosting requirements. We believe that performance and reliability are the top most criteria required to support our customers' mission critical applications, that is why every dedicated server delivered is well-equipped and have to be at its best state. You may choose between MS Windows Server or Linux operating system. Dedicated features that can only be found in our dedicated hosting plans. Dedicated server provides the best performance for your hosting needs, all server resources belongs only to you. Enterprise Grade RAID will ensure your data always have a mirrored copy on two or more disks, it is a must have feature for peace of mind. All hardware are guaranteed for life and will be replaced if faulty without extra charges. Dedicated server comes with dedicated support, particular technician will be assigned to you. Initial setup of all relevant components such as antivirus, firewall, latest updates, DNS & more. All servers run through thorough testing before it is being delivered to the customers. We fully take care of your servers to ensure optimum performance and uptime, all the time. Scale up by upgrading your hardware anytime you need when the need arises without hassle. Additional server features can be added on if needed, or downgrade if not required to accommodate your budget. Please contact our sales team regarding add-on items for your dedicated server. 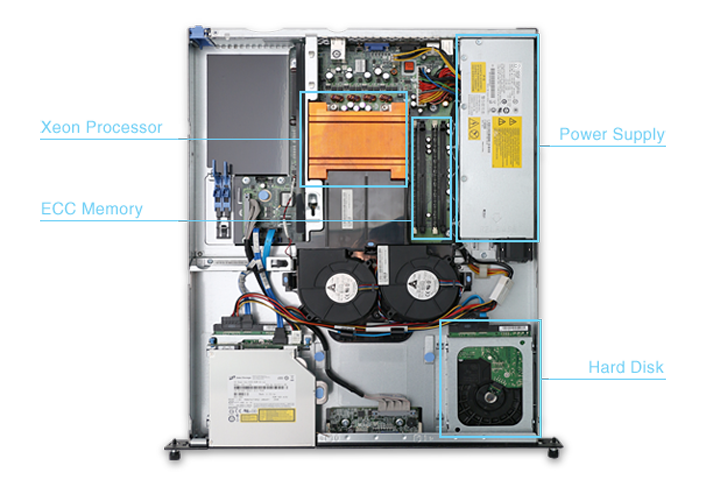 Our 1u rack servers are equipped with server grade hardware such as Intel’s Xeon server CPU, ECC memory RAM and enterprise grade hard disk all assembled into an optimal air flow chassis ensures reliability and performance. With add-on KVM feature allows quick responsive support when needed. The plans don’t suit your need? Don’t worry! 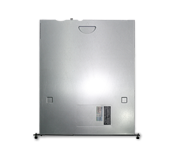 You can custom your server according to your specifications and budget. All servers delivered to the customers are equipped with server-grade hardware, its a real server! Contact us 24/7 for dedicated support. Dedicated server is a hosting service where the entire server is exclusively dedicated to a single customer. Customers whom order our dedicated server plan have full control of the server, such as root access to the operating system and dedicated server hardware. A dedicated server will be assigned with their own CPU, memory, storage space and IP address. Therefore, performance will not be affected by the usage patterns of other customers. Dedicated servers are used for various purposes such as acting as a gaming server, database management server, host traffic intensive websites, run huge email volumes and many more. It is highly recommended for organizations or individuals who requires consistent performance to run their mission critical IT activities day in day out. Full control over server, users have the root access to the server. Flexibility, install software programs or setup configurations based on your own requirements. Server shall be customized according to user’s preferences such as hardware configuration and type of OS. Resources allocated are 100% dedicated to you, results in better consistent performance. Not affected by other users, unlike in a shared hosting environment. Who Should Choose Dedicated Server? So who should choose dedicated hosting server rather than shared hosting plan? Below are some guidelines. Very-high-traffic website owners, be it an info site or ecommerce site. Individuals or organizations who need consistent performance and not being affected by others. Users with high volume email usage. Administrators who requires special server configuration and software installation. Both MS Windows Server and Linux OS platforms are able to serve your web, database, email or other specific task that a server can perform. The choice between Windows Server or Linux platforms usually depends on the requirement of the solution that it is built upon or the preference of the system administrator. Below is a brief comparison of the differences between both platforms. 99.99% dedicated server uptime guaranteed. High performance, the ultimate solution. After sales support available by phone, email and ticketing.